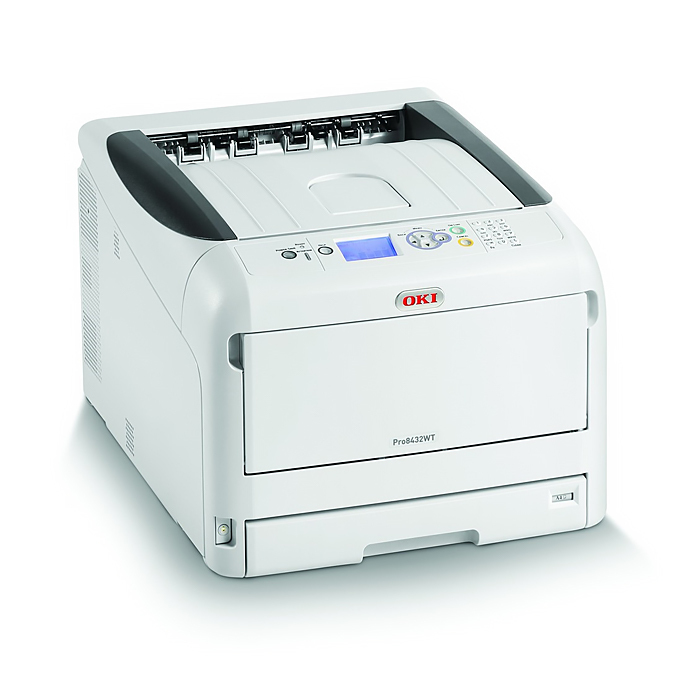 The OKI Pro8432WT White Toner Printer prints in any color including white. It is Easy-to-use, affordable and ideal for digital heat transfer printing. Together with the FOREVER heat transfer media, the OKI Pro8432WT prints solid, sharp, bright white color designs on a wide range of transfer media. All users are required to update the OKI Pro8432WT CMF profiles. Click the SUPPORT tab below to find out how. White toner technology removes the last barrier in creativity and design. Ideal for graphics, design and merchandising materials. 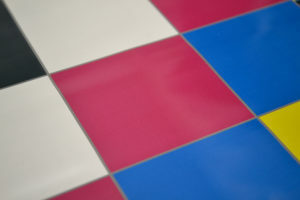 Stand-out printing on coloured media, clear film and transfer media. Printing in solid, sharp and bright white is as easy as any other colour with the high-performance Pro8432WT. The combination of High Definition digital LED technology and cutting-edge OKI white toner technology removes one of the last barriers to creativity and design for print houses, manufacturers graphic arts firms and other businesses. The Pro8432WT is part of OKI’s White Toner (WT) portfolio – the first digital printer range that offers users the ability to print using white toner. Based on tried and tested devices, that are well regarded by graphic based industries for their high-quality output, the innovative Pro8432WT offers the same speeds as OKI’s standard colour digital LED printers and easy to use and operate. Go to your OKI Pro8432WT’s printers menu panel. Press UP or DOWN on the operator panel until you see “PRINT INFO“, and then press ENTER. Press UP or DOWN on the operator panel until you see “CONFIGURATION“, and then press ENTER. The CONFIGURATION sheet will be printed. Compatible with Windows Vista, 8 or 10 ONLY. Mac users are required to install Windows via Apple’s BootCamp software. You can only install the new profiles if your Printer is connected via a USB cable. Network connected Printers will not work. USB Cable only. Download the installation files here. Note: If your security window appears, Click “Yes” to allow the software to install. Click “Yes” to begin the installation process. Close the Software and repeat Step 1 from above. If the steps above have been followed correctly, then you will no longer have any issues printing the FOREVER transfer media with the new OKI Pro8432WT Printer. A really IMPORTANT point to make is that all users should set their paper settings to either “UserType 1” for Laser-Dark (No-Cut) LowTemp, Flex-Soft (No-Cut) and Multi-Trans or “UserType 2” for Laser-Light (No-Cut). Click the “Printer Settings” tab for more information or click here. If you are still having issues with your OKI Pro8432WT printer, please contact us directly. Use the below settings for printing the FOREVER heat transfer media, either through the TransferRIP software or the another program. 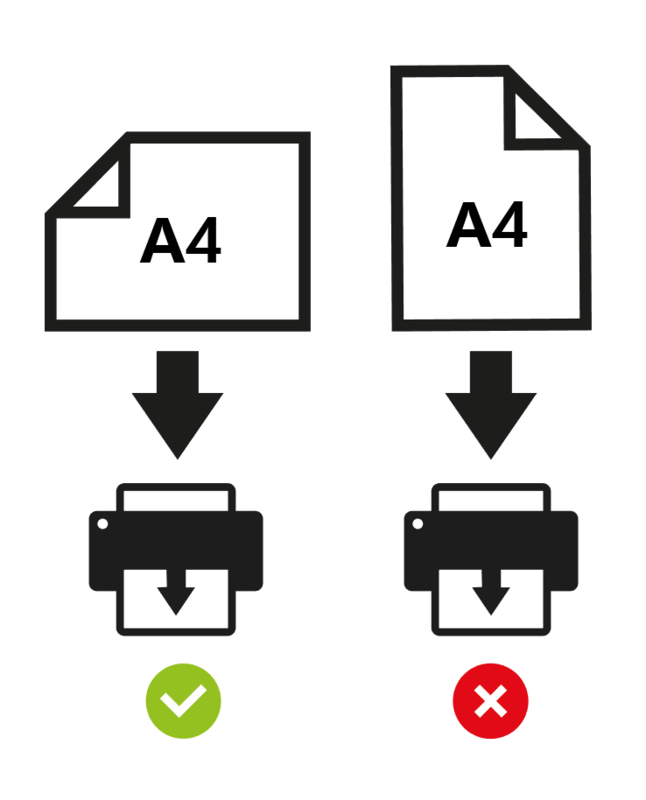 All users should print using the long-edge of an A4 or Letter sized image. By printing your images with the long-edge of the paper, we can reduce the excess build-up of static electricity within the printer. 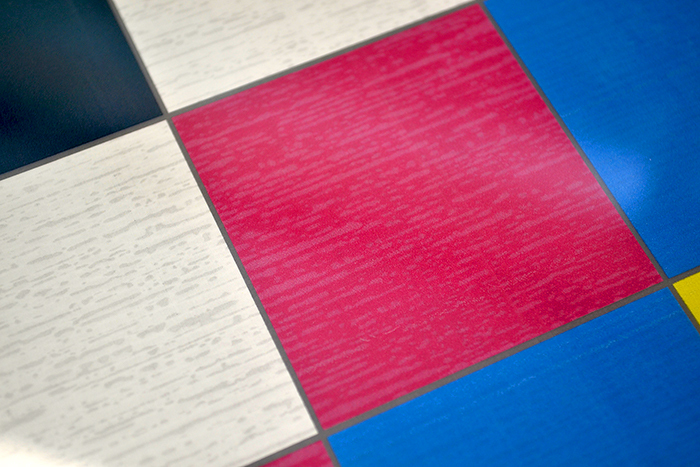 Static build-up prevents colors from fixing to the transfer media.